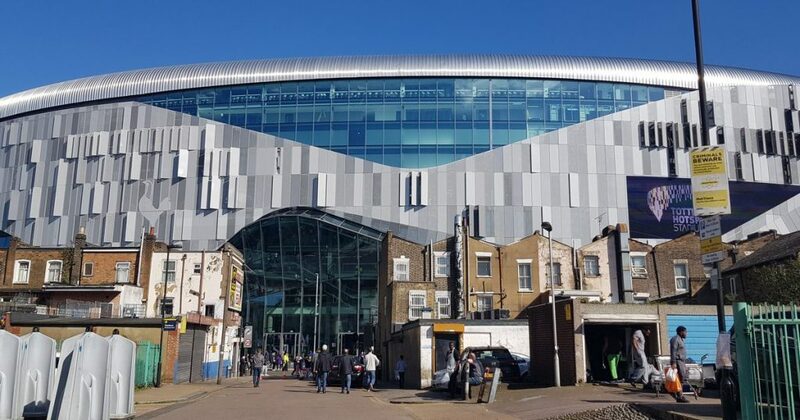 LONDON – Wednesday evening, 7 months later than originally scheduled, Tottenham Hotspur fans will get to see their side play its first match in its new home. As well as its grand design, the 62,000 seater stadium in north London is the first fully cashless stadium. 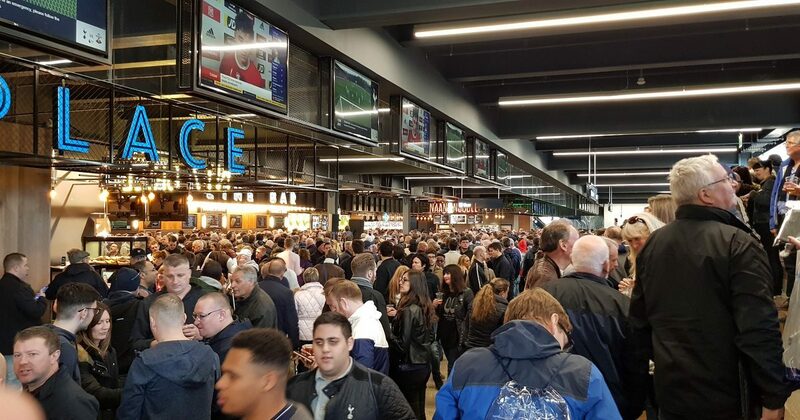 All drinks, snacks, and team merchandise at the Tottenham Hotspur Stadium have to be purchased by apps like Apple Pay or on a card. The club did not have any estimates on how many cashless transactions it will process at its new home. The stadium will also play host to NFL matches. NFL team merchandise is available in the cashless store. 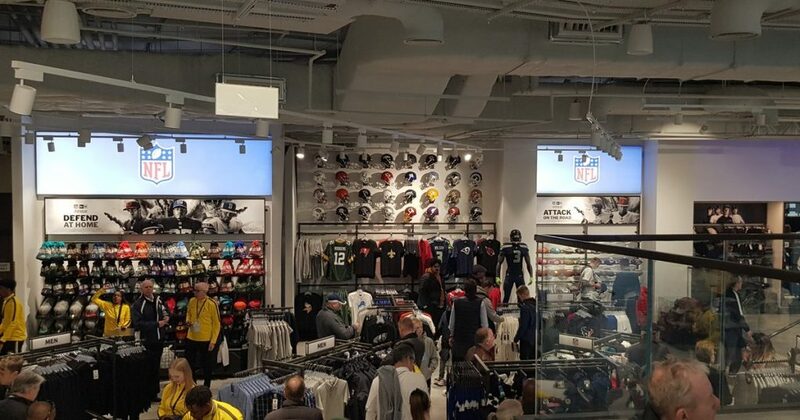 NFL merchandise in the cashless store. Having attended 2 test events there (Tottenham Hotspur are my team,) it was noticeable how much more efficient purchasing items was. I happily paid for items in both the club shop and food stalls with my phone. However, I did notice at least one person try and purchase a beer with cash. Change will clearly take getting used to for some. As well as opening the doors to its new home, the club launched a new app Tuesday. Available on iOS, fans can access their season ticket, purchase tickets, and view exclusive content from the club via the app. I suspect that one day they will be able to simply use the app as their ticket too. For now though, fans will have to make do with buying those half-time snacks on their phone, instead of searching for spare change.